Justin Timberlake Archive - Justin Timberlake The TN Kids Is Out Now! You are here: Home / News / Justin Timberlake The TN Kids Is Out Now! Justin Timberlake + The TN Kids Is Out Now! Ready to #TimberlakeAndChill? 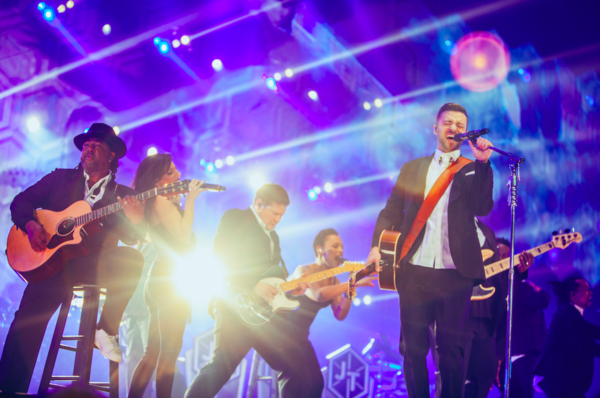 "Justin Timberlake + The Tennessee Kids" concert film is out now - streaming exclusively on Netflix. WATCH IT HERE. The full length feature showcases Justin and his crew of band and dancers, called The Tennessee Kids, during their energy packed final performance of The 20/20 Experience World Tour at The MGM Grand Garden Arena in Las Vegas. The film was directed by Academy Award® winner director Jonathan Demme. Don't miss it! Great show. Great film. Incredible music. I hope they make an audio album based on this live show. The arrangements and live sound add a different dimension compared to the studio recording/production. Congrats to JT and team. wOA ÇA DEVAIT ETRE SUPER BIEN !! Best show ever. Thank you THETNKIDS, JT, Jonathan Demme, Netflix for making this happen <3 <3 :) !!! JT you're the best. Such a beautiful spirit. This show was awesome. I can't wait to actually see your show in person.